Frontlines™: Fuel of War™ is an open-world First Person Shooter set in the next Great War. 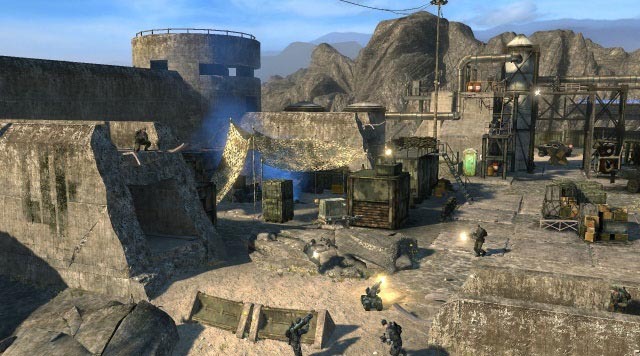 In a world ravaged by a global energy crisis, environmental decay, and economic depression, players assume the role of an elite soldier in the “Stray Dogs” strike force in the Western Coalition Army on an epic crusade against the Red Star Alliance to control the last of the world’s oil reserves in the Caspian. Frontlines: Fuel of War combines intensely cinematic, non-linear game play, with next generation firepower and a revolutionary frontline combat system to deliver the most thrilling and engaging FPS to date. 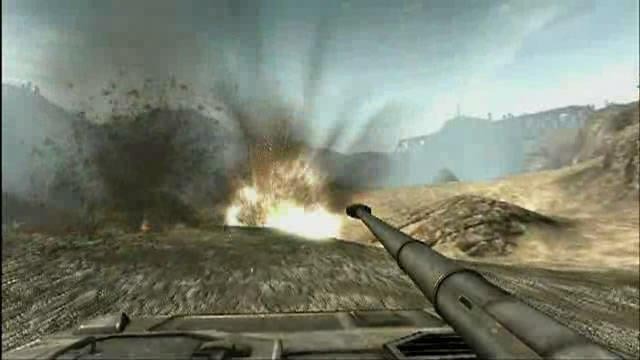 • Frontline Combat System – Combat in Frontlines: Fuel of War is focused and intense, in a system that inherently promotes teamwork by creating a unified front of war. 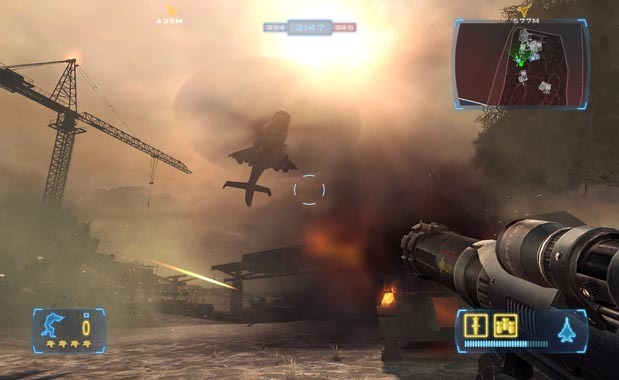 In both single player and multiplayer, players join the forces on the frontline that result in focused combat and increased intensity while allowing player choice. 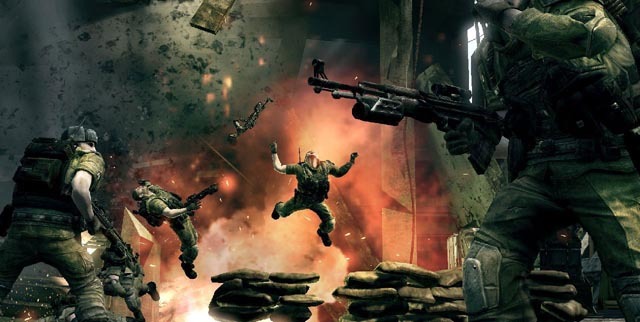 • Open World Environment – Through intensely cinematic, non-linear objectives, players assume the role of an elite soldier in the Stray Dogs Division. Based upon actual locations in Central Asia, the player enters an epic campaign featuring 7 theaters of war with a climactic ending. 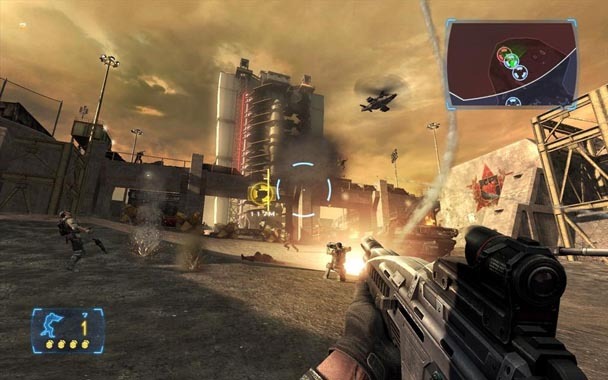 Players can create their own path to victory with non-linear mission objectives and destructible environments. The player chips away at the battle instead of standard die and redo system. • Next Generation Firepower – Join the future of war with over 60 vehicles and weapons based off of real military designs of the near future. From futuristic tanks and jets to remote controlled drones and sentry guns, feel the adrenaline rush of utilizing next generation firepower on the battlefield. • Customizable Soldier System – Character customization allows you to represent your play style through character choices, weapon load out and role specialization. Upgradeable character roles encourages experimentation, increases replay value and combined with the open world environment and teamwork, provide numerous combinations to achieve objectives. 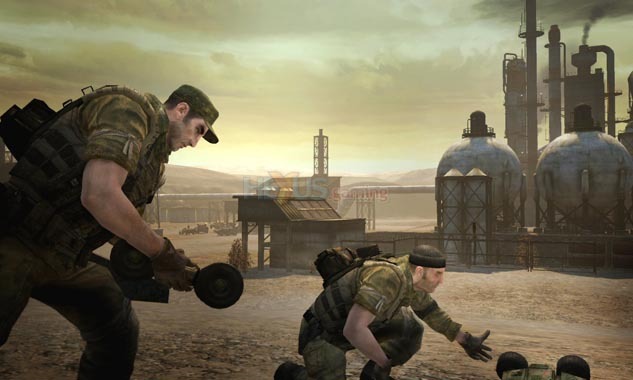 • Advanced Team Play – Supports up to 32+ players on Console and 64+ players on PC via LAN or Internet for large scale wars online utilizing shared targeting systems to promote teamwork. Copyright 2008-2011, N-Fusion Interactive Entertainment Corp.